The nature of the city is a contested concept. For architects it is generally a question of bricks and mortar – a physical entity. For human geographers it is a place of human interaction and engagement. For filmmakers it is a site for action and futuristic nightmare. For animators and computer programmers it becomes a virtual world – a second life, a SIMulated city. For sociologists, it is a defining aspect of cultural identity. For political activists and theorists, it is a place to ‘occupy’ and the site of the polis. 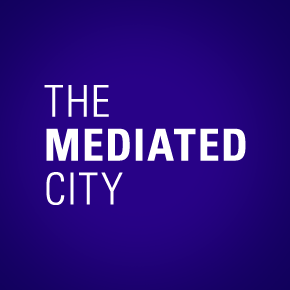 THE MEDIATED CITY conference offers a platform for multiple and diverse examinations of the city. It aims to bring people together from diverse backgrounds and fragment, multiply and reconfigure our readings of the city; to offer multiple and conflicting discipline perspectives. The intention is to share views of the city as physical entity, online community, film set, photographic backdrop, geographical map, sociological case study, political metaphor, digital or video game etc…. – to examine it as a mediated and shared phenomenon.